If you have a good memory for movies, you may remember Nobody’s Fool (1994). Set in a declining town in upstate New York and based loosely on Richard Russo’s comedic novel, Nobody’s Fool stars Paul Newman as Donald “Sully” Sullivan, a feckless, sixty-year-old handyman who, in Russo’s words, has “led a life of studied unpreparedness.“ Although he is blessed with humane instincts and a generous heart, Sully’s devil-may-care attitude and his boyish penchant for mischief have too often sabotaged his better nature. What Rub does do is wish, habitually and frequently. During a lull, when he and Sully are out of work, Rub wishes that “we’d just start up again like before.” Later, when they do find work, Rub wishes “we were all through with this job and sitting in The Horse eating a big ole cheeseburger.”* Wherever Rub might be, he wishes he were elsewhere. Rub Squeers is a fictional character, but he bears a strong resemblance to an actual person, namely Richard Russo’s troubled mother. In his recent memoir Elsewhere, Russo remembers his mother, Jean, as an intelligent and stylish but profoundly dissatisfied woman, “lost in some labyrinth of her own thoughts and impulses.”** Middle-aged, divorced, and caught in an “economic cage,” Jean eked out a meager living in the upstate town of Gloversville, New York, which she regarded as an “awful, awful place.” When her son was admitted to the University of Arizona, Jean saw an opportunity to escape her bleak environs, and against her aging parents’ wishes she went with him. Relocating in Phoenix, she began to put down roots, but after a few years she came to regard Phoenix, too, as an awful, awful place. And when her brief second marriage ended, she returned to Gloversville—only to return to Arizona a short while later. For the next two decades Jean followed her nomadic son and his family from one teaching job to another, winding up at last in Maine. But no matter where she lived, she remained unsettled, wanting always to be elsewhere. Jean’s case was no doubt extreme. In Russo’s mature opinion, his mother’s chronic disquiet stemmed from both her straitened economic circumstances and her mental disorder, specifically her debilitating, untreated OCD. But as a recent Harvard study has shown, Jean’s habitual state of mind, however extreme, was not all that unusual. Most of us, it would seem, spend much of our lives dreaming we were elsewhere. Zen meditation can help us do just that. It can return us, time and again, to the present moment, until the habit of being present replaces the habit of being elsewhere. But lest the practice be misunderstood, it should be noted that the immediate aim of Zen is not to eradicate all wishes or abolish all desires. Rather, it is to cultivate a direct, continuous awareness of our present experience, including our wishes, daydreams, and beguiling divagations. Rub Squeers may well be right: inattention is normal human behavior. And as Russo’s memoir vividly illustrates, by ignoring the present moment and habitually engaging in wishful thinking, we can wreak merciless havoc upon ourselves and others. To become consciously aware of our wandering minds is to allow ourselves, at any given moment, a liberating choice. We can wish for and dream of another life, as it is sometimes fruitful to do. Or, conversely, we can reenter, with curiosity and wholehearted commitment, the imperfect life we are already living. * Richard Russo, Nobody’s Fool (Vintage, 1993), 81. ** Russo, Elsewhere (Knopf, 2012), 84. *** Matthew A. Killingsworth and Daniel T. Gilbert, “A Wandering Mind is an Unhappy Mind,” Science, vol. 330 (12 November 2010), 932. 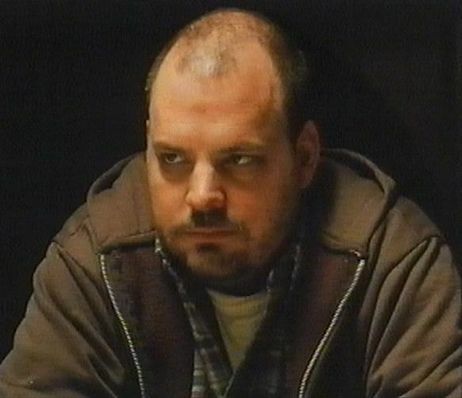 Pruitt Taylor Vince, a well-known character actor, plays Rub Squeers in Nobody’s Fool. Community Photo from Rottentomatoes.com.